Vehicle etching is the process of permanently etching a vehicle’s Vehicle Identification Number (VIN) on each piece of window glass on the vehicle. It serves as a permanent fingerprint of your vehicle and is a visual deterrent against auto theft. The process affects only the outer most layer of the glass, and will not damage your windows or make them weaker. 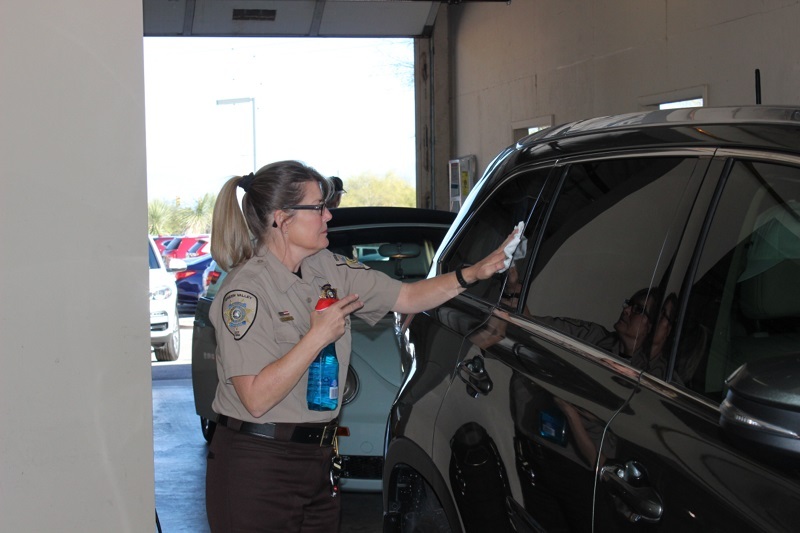 Once a year, usually in January, SAV volunteers etch vehicles at no charge, in Green Valley. You can learn more about vehicle etching at the Arizona Automobile Theft Authority, https://aata.az.gov/. To learn about the Green Valley etching program, please call SAV at (520) 351-6744, Monday through Friday, 8:00 a.m. - 4:00 p.m.